Looking for natural ways to sleep better? Cant get to sleep at bedtime? Keep waking up in the night? Resigned to poor sleep? There are things you can do to improve your sleep. Here I look at natural ways to sleep better – simple self help tips, mindfulness meditation and homeopathy. There are many things that may disturb your sleep and which you will be only too aware of, for example pain, children waking you at night, working shifts or menopausal hot flushes. With these the best approach is to address the cause if possible, though the tips below may well help too. In this post, I am focusing on insomnia for which the reason is less obvious. You may suspect it is a habit or feel it is something you just have to endure. The most common cause of insomnia like this is stress, which results in our adrenal glands releasing too much stress hormone, cortisol, at night. Cortisol levels should be high in the morning and drop through the day so that levels are low when you are trying to sleep. However, ongoing stress may result in increased amounts being present at bedtime and this can keep us awake. Melatonin is another important hormone that controls sleep and wake cycles and if levels are inadequate it can make it hard to get to sleep. Melatonin levels are influenced by daylight and should increase in the evening and only drop come the morning. Regular routine – aim to go to sleep and get up at the same time every day (even weekends). It may also be helpful to do the same relaxing activity each evening before bed e.g. deep breathing, some relaxing yoga, a bath or listening to soothing music. Early bed – try to be asleep by 11pm as this is the time when the adrenal glands recharge while we sleep. Darkness – sleep in complete darkness as this enables the pineal gland to produce melatonin, which aids sleep. Morning routine – Melatonin production can also be helped by exposure to sunlight during the day. Some outdoor exercise early in the day helps to regulate your body clock. Evening Snacks – avoid snacks containing sugar shortly before bed. Ideally have a protein based snack an hour or 2 earlier. This can provide l-tryptophan which is needed for the production of melatonin and serotonin. These measures also help to stabilise blood sugar levels and reduce the chance of you waking during the night due to low blood sugar. An example of a good snack would be an oatcake (sugar free) with cottage cheese or almond butter. Caffeine – moderate your caffeine consumption as it is an adrenal stimulant. In particular, avoid caffeine from mid –afternoon onwards. Caffeine is found in tea, cola, chocolate and some medicines. Chamomile tea after your evening meal is a calming option. Waking for the toilet – if you tend to wake to urinate during the night, try having nothing to drink for 2 hours before bed and see if this helps. You may well also find that once you start to sleep better you won’t actually need the toilet so often at night. Work – finish any work at least 1 hour before bed and do something relaxing for that hour. Otherwise work stresses and deadlines are likely to be occupying your thoughts when you should be sleeping. Worries – write down any worries or persistent thoughts especially if they are stopping you sleeping. Tell yourself you can forget them until the morning. Screens – try putting your TV and mobile phone off an hour before bedtime and certainly don’t use them in bed. Screen usage tends to stimulate the brain and make it harder to settle to sleep. Books – reading last thing at night can be helpful but ensure the reading material is relaxing in nature. Temperature – keep the air in your bedroom cool. If you tend to get cold feet in bed, wear socks or use a hot water bottle. Stress is the commonest cause of insomnia, so learning meditation is now viewed as a very useful approach to the problem. A randomized controlled trial of mindfulness meditation for chronic insomnia in 2014 concluded that Mindfulness meditation appears to be a viable treatment option for adults with chronic insomnia and could provide an alternative to traditional treatments for insomnia. Given the absence of side effects and potential benefits for insomnia and more general well-being, it is an approach you may well like to try. There are many apps and books that you can use to teach yourself or you could join a meditation group. Or maybe you would like to hear an example Mindfulness meditation for relaxing before sleep? This is one you could try listening to. Tried all the normal tips for a good night’s sleep and still struggling? Meditation too hasn’t completely cracked the problem? Homeopathy offers some excellent non-toxic remedies for insomnia. Ideally for chronic insomnia you should see a professional homeopath. However, you may prefer to first try a remedy yourself to see if you can break the pattern. If your sleep problems are short term you may quickly get relief. Try one of the following remedies in 30c potency once or twice a night for up to 3 nights, stopping sooner if you sleep soundly. Then I would recommend a full consultation with a homeopath who can look in depth at your individual situation and customise a remedy to your needs. 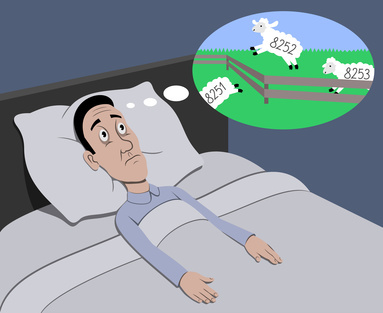 Insomnia is an extremely common problem for people to mention when they come to see me for homeopathic treatment. Often it is not the main reason for booking a consultation but as we work on overall treatment matched to that person, sleep generally becomes sounder and more refreshing. Why not book a free phone call with me to ask any questions about this?